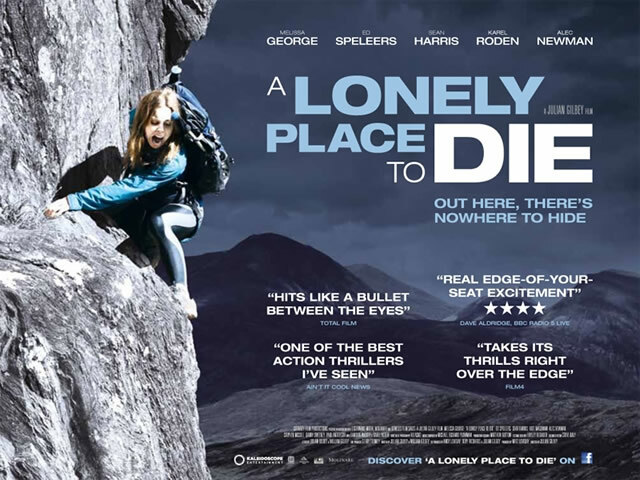 Here's a new trailer from the upcoming thriller A LONELY PLACE TO DIE. The film stars Melissa George, Ed Speleers, Sean Harris, Karel Roden, Eammon Walker, Alec Newman, Kate Magowan, Holly Boyd and opens on November 11th. This looks like it'll be pretty good! Anybody afraid of heights? A group of five mountaineers are hiking and climbing in the Scottish Highlands, practicing for a more dangerous ascent of the Eiger later in the year. On the second day of their trek one of the party hears a noise. They follow the sound and chance upon an air-pipe that is sticking out of the ground. They can hear the cries of a person from beneath the earth. They start digging and soon discover an eight year old Russian girl buried in a small chamber. She is terrified, dehydrated, half-starved and can't speak a word of English.